It is always fun to make predictions. I have just one prediction for real estate in 2018. My prediction is based on the assumption that NAR is correct and no one will want to buy homes if any of the tax advantages are taken away. I predict that after the tax bill is passed the market will be flooded with homes for sale that no one will want to buy and home buying activity will end which will greatly hurt home sales. That is correct and remember you read it here first. All home buying activity will end. The end of home sales will trigger the demise of countless cottage industries and real estate related companies which will cause the unemployment rate to rise. 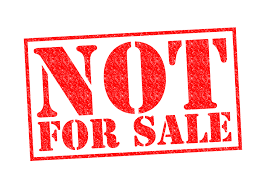 Pre-not for sale signs will be all the rage as real estate pros look for ways to turn a non-market into opportunity. In a press release, NAR will state that this could have been avoided if members had responded to the close to 105 “call to action” emails they received predicting the end of home ownership for the middle class.